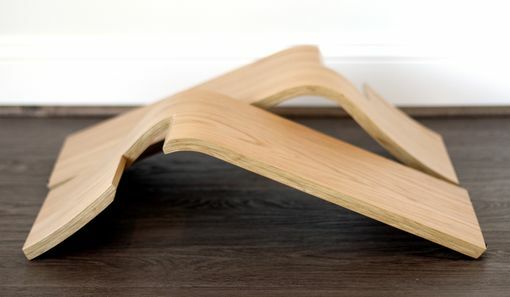 This bent plywood stool was inspired by a client looking for a versatile stool for their small apartment. They needed some extra seats for when they had guests over, but they also wanted to be able to store the seats away when they needed more space. 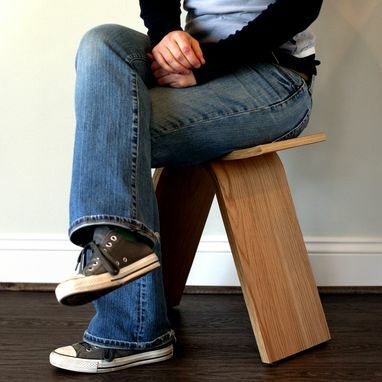 What we came up with is the Interlochen Stool. 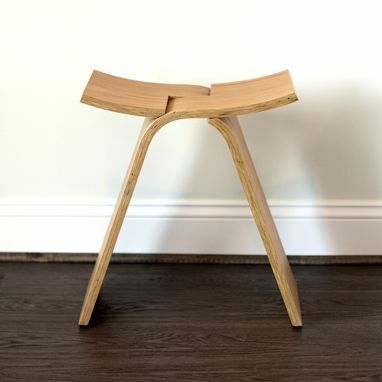 What's cool about this stool :-) is that it has two identical pieces that interlock to form a sturdy seat without any fasteners. When you need some extra space, just slide the pieces apart and stack them away. It's perfect for small spaces or where you need an unobtrusive side seat. The name Interlochen comes from the first state park established in Michigan. The area just southwest of Traverse City was designated Interlochen State Park in 1917 to halt deforestation of the beautiful area between Duck Lake and Green Lake. Today, the area is best known for the internationally renowned Interlochen Center for the Arts. 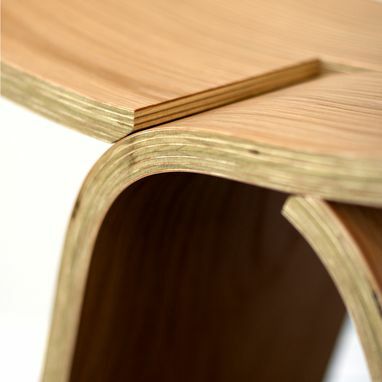 The Interlochen Stool features hand-layered bent plywood with real wood veneer. It's hand sanded and finished with hand-rubbed polyurethane for a durable finish. Includes 4 feet on the bottom - 2 on each side. The stools are available in three standard veneers, but if you have something else in mind we would love to create a custom look for you. Oak is pictured. Walnut is a deep, warm brown wood with varying black grain that adds a bit of sophisticated warmth to any room. Oak is a medium-to-light brown wood that features beautiful grain variation with subtle curves and cathedrals that make for a very interesting stool. Birch is gorgeously simple with a light, neutral color overall and a subtly wavy and interesting grain. 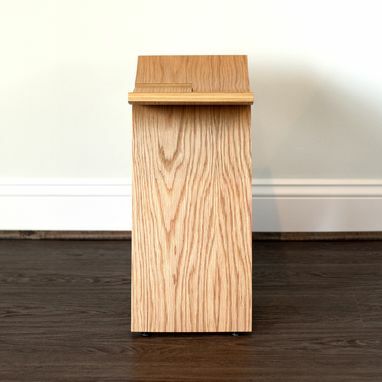 The Interlochen Stool measures 18" tall, 17" wide and 9" deep with a 17" seat height.